Joe Jonas is getting ready to unveil his first solo single, ‘See No More,’ on June 3 and now the 21-year-old has released a snippet of the song in the form of a teaser video. The trailer is only 30 seconds long and mostly instrumental, but fans can hear a bit of Joe’s vocals toward the end of the video. 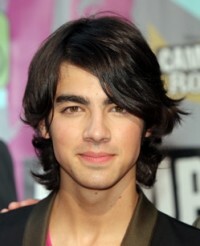 The clip incorporates images and video footage from the past year of Joe’s life, following the Jonas Brother from the red carpet to the studio. ‘See No More’ will be available to download on iTunes on June 13. Check out the teaser below and let me know what you think of the song snippet in the comments. awsome hey he is 21.woooooooooow he use to be cute at a young age. ti vuoi mettere con me??? i just love the new smashing song…..love you joe!!!! !